The Dow Jones News Fund recently celebrated the 50th anniversary of its editing internship program. What was at first an experiment placing bright college students in newsrooms as copy editors, was proven effective and forward-thinking. 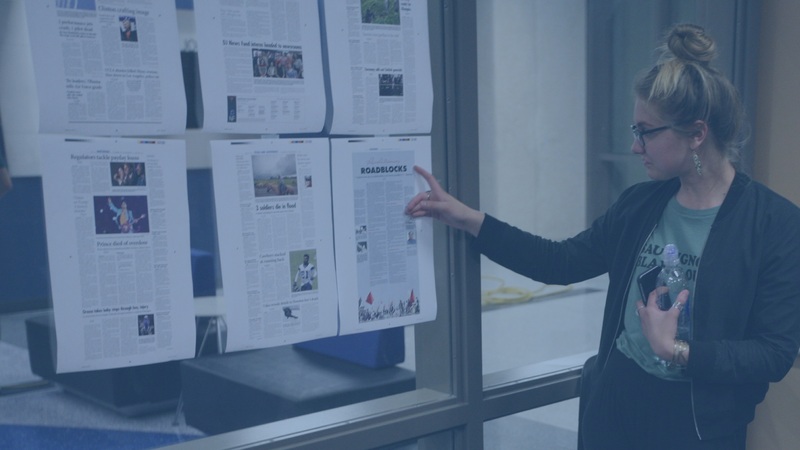 Today, the Fund mentors the next generation of newsroom leaders, promoting journalism fundamentals while advancing new storytelling methods using data and digital innovation. The mission of the Dow Jones News Fund is to promote careers in journalism in the digital age. Our vision is robust news media staffed by well-trained, innovative journalists who reflect America’s diversity and are dedicated to a free, strong and fair press. Forward-thinking editors of The Wall Street Journal organized the Newspaper Fund in 1958 with the goal of improving journalism education and the quality of journalists entering the field. At first, the Fund awarded fellowships to high school journalism teachers, then expanded to support college reporting internships. In 1968, DJNF embraced the quest for diversity in the media, making it a cornerstone of its mission. In nearly six decades, the News Fund has prepared thousands of journalists and journalism educators who have gone on to prestigious careers at respected American media. DJNF alumni include Pulitzer Prize winners who have covered Ferguson, war, mass shootings, western wildfires, corruption and more. Among them are founders of the National Association of Black Journalists, the Online News Association and industry leaders who are redefining the culture of major newsrooms. DJNF pursues its mission by offering acclaimed professional internship programs for college students in data journalism, digital media, business reporting and news editing plus multimedia training for journalism educators. The Fund is committed to fostering a vibrant press and providing aspiring journalists with the skills required to succeed in today's fast-changing news landscape.